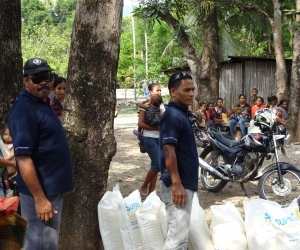 WFP has been present in Timor-Leste since 1999. The country portfolio Evaluation (CPE) focused on the period 2008 and 2012 during which there were three operations implemented that encompassed: emergency relief, food-for-work/assets, school feeding, maternal and child health and nutrition, and capacity development. 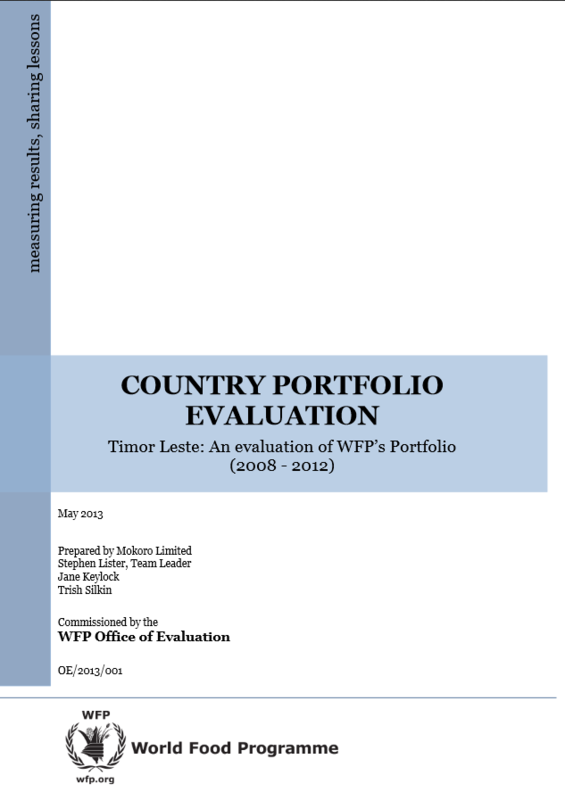 A multi-sectoral Mokoro team undertook the evaluation, assessing the performance and results of the portfolio as a whole and providing evaluative insights to help forge evidence-based decisions about WFP positioning in Timor Leste as well as their strategic partnerships, programme design, and implementation. The evaluation team gave seven recommendations addressing the immediate transition strategy for Timor-Leste, concerning handover and exit strategies in general for WFP, further strategy development for maternal and child health and nutrition, local production of fortified blended food, school feeding, capacity development and gender mainstreaming.